Suzuki Motorcycle India Pvt. Ltd has launched the updated V-Strom 650 XT ABS in India. Priced at Rs 7.46 lakh, the 2019 Suzuki V-Strom 650 XT ABS comes with new graphics, hazard lights and side reflectors. This ADV offering from Suzuki India gets only cosmetic updates without any change in the state of tune of the engine. Also, it should be noted that the price of the 2019 edition remains identical to the launch price of the V-Strom 650 XT ABS in October last year. Suzuki two-wheeler dealerships across the country should be starting deliveries of this 2019 edition shortly. "We have received an overwhelming response since the launch of Suzuki V-Strom 650 XT last year, we wish to continue the momentum and win the hearts of our customers in 2019 as well. We are delighted to introduce the 2019 edition of Suzuki V-Strom 650 XT which comes in added with features and will add to the attractiveness of this very capable motorcycle," commented Satoshi Uchida, Managing Director, Suzuki Motorcycle India Pvt. Ltd. The 2018 Suzuki V-Strom 650 XT ABS is equipped with four stroke, liquid-cooled, DOHC with 645cc, 90 degree V-twin engine. It is offered with the three-mode traction control system (2 mode + Off mode), that Suzuki claims to ensure superior control over the engine. The V-Strom 650 XT, along with the Hayabusa, and the GSX-S750, is locally assembled at the company's Gurgaon plant. 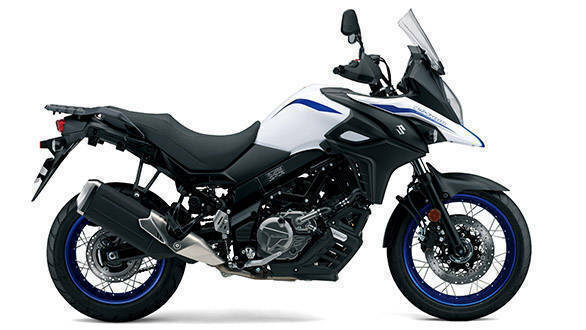 The only rival to the V-Strom XT is the Kawasaki Versys 650.